A WinForms based frontend application for launching emulators. 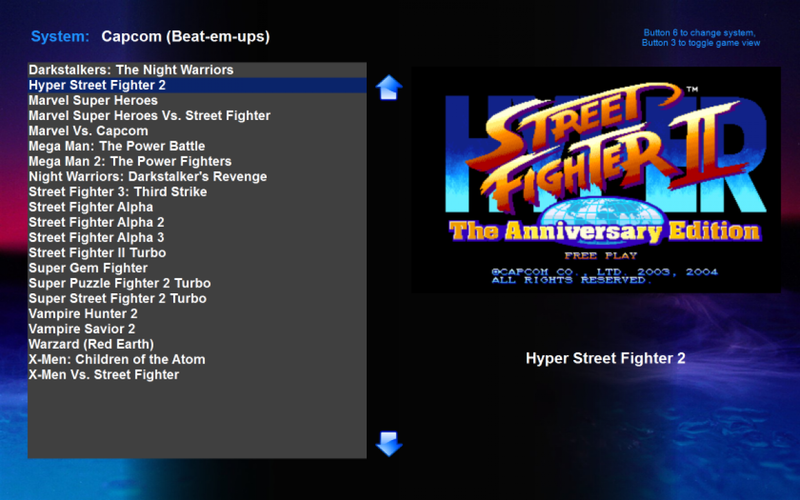 Works with MAME and many other emulators (MAME, NeoMamePlus, CPS2MAME, PCSX, Model 2 Emulator (Nebula), CPS3 Emulator (Nebula), Snes9x, VirtuaNES). Configurable game list, launch options, key bindings and appearance settings. A WinForms based frontend application for launching emulators. Works with MAME and many other emulators. Configurable game list, launch options, key bindings and appearance settings. Uses .NET 4.0 - Visual Studio 2010.